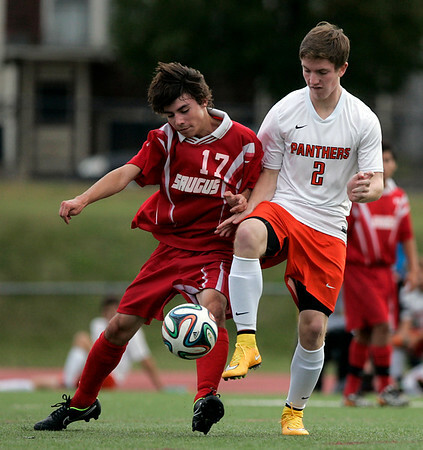 Beverly junior midfielder Ewan Sellars (2) battles for a 50/50 ball with a Saugus player on Tuesday afternoon. DAVID LE/Staff photo. 10/7/14.